My Highly Caffeinated Thought: A dark and tense follow-up to I''M TRAVELING ALONE. 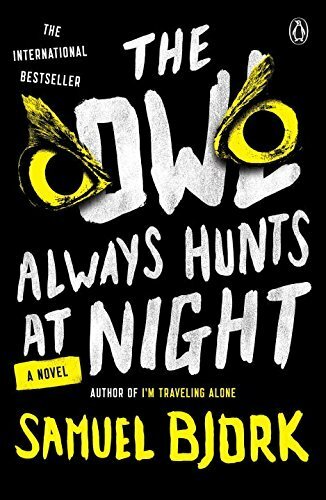 THE OWL ALWAYS HUNTS AT NIGHT is a suspenseful, dark, and haunting crime mystery that will no doubt have you staying up to find out how it all ends. Bjork brings back two of my favorite detectives, Holger Munch & Mia Kruger, to solve a case that can only be described as disturbingly haunting. Even though the two have been apart for a little while, a murder that can only be solved with Mia's help brings the partners back together. There are two elements of this series that really stand out for me. The first is the relationship between Mia and Holger. Their interactions and as well as the characters' moments spent inside their own heads are such an amazing part of the series. If you just had Mia and her own issues leading the story it would be great, but by having the added element of Holger and his baggage, Bjork just expands the narrative even more. The honesty within these deeply flawed characters draws the reader into whatever case they are on. The second is the way that the reader learns about the case through the investigation. Bringing in the police procedure and elements of how Holger runs the case allows the reader to unravel the mystery right along with them. 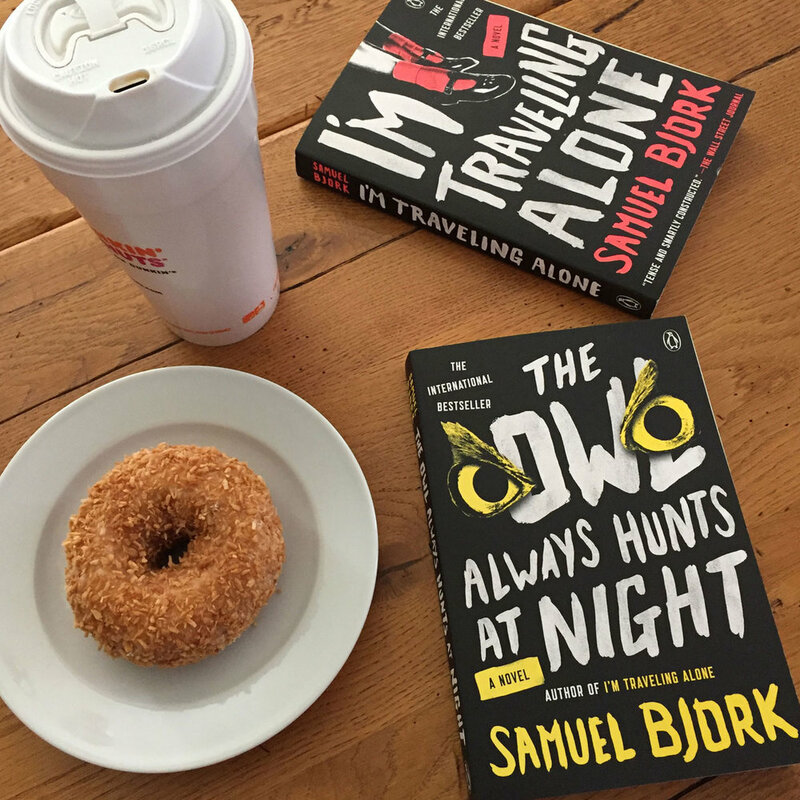 Series Note: THE OWL ALWAYS HUNTS AT NIGHT is follow up novel to one of my favorite Nordic Noir Crime Novels, I'M TRAVELING ALONE. Though I still love the first in the series a bit more, I was completely addicted to this book. If you are thinking about reading Bjork's Holger Munch & Mia Kruger series, I would definitely tell you to start at book one. Though you technically don't have to, you should. I'M TRAVELING ALONE is just too good to pass up on. Reviewer Disclaimer: I received a free copy of this book from the publisher. Meanwhile, Munch’s daughter, Miriam, meets an enticing stranger at a party—a passionate animal rights activist who begins to draw her into his world and away from her family. About the Author: Samuel Bjørk is the pen name of Norwegian novelist, playwright and singer/songwriter Frode Sander Øien. Samuel Bjørk has been compared to the likes of both Stieg Larsson and Jo Nesbø, and has proved himself to be a force to be reckoned with in the crime genre.